Guess Where Tekashi 69 Is Going? 50 Cent Comments! What should Tekashi have done? According to the streets, he should have kept his mouth shut. (AllHipHop Rumors) Once upon a time Sammy The Bull was the biggest snitch known to the world, but Tekashi 69 is giving him a run for his tutus! Sammie snitched on Gotti and Tekashi snitched on Shotti! You can't make this stuff up. Now, it seems like the appropriate measures must take place to protect the rat from the wolves. Daniel Hernandez, at the tender age of 22, is about to be in Protective Custody aka Punk City. People in that life are not happy about his snitchy ways. They have got to protect him from the people that would kill him. 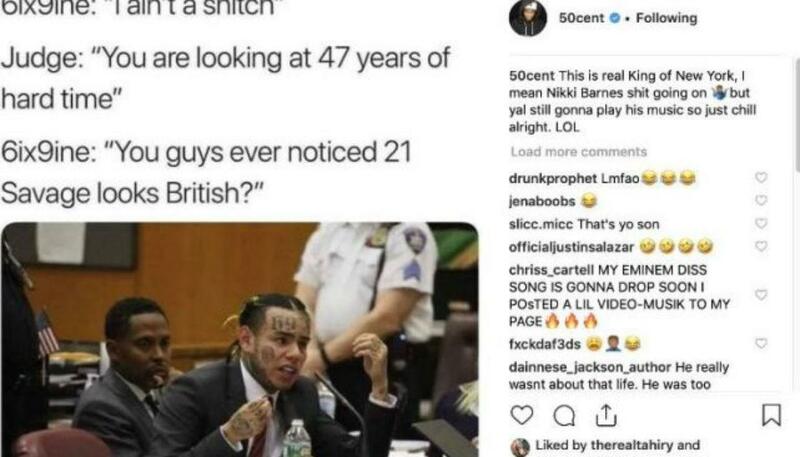 Well, 50 Cent once called Tekashi his "son," but he is no longer claiming the young gun. Now, he's trolling his former homie and 21 Savage by default. This has been removed now. But this has not, they continue to play Tekkie's music even though he's banished.